And Rae Burrell is guarding McCowan Holly has lost her mind ! Everyone should keep in mind that a major factor in Holly’s decision about whether or not (or when) to step down is that there are many other staffers who are likely to lose THEIR paychecks, too, if and when she goes. That’s the way it is in coaching, of course, but I doubt it makes it any easier to be the one responsible for others losing their jobs. In my opinion it very much is time for an injection of new blood into the program. 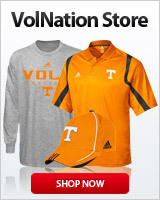 I understand that many people are worried that Pat’s legacy will be forever killed off if there’s not a former Lady Vol on staff, but I think any new coach would have to be INSANE not to take advantage of the opportunity to use Tennessee’s past successes as a MAJOR selling point to future recruits. It would make zero sense, and would likely backfire in the worst way, for anyone to come in and not behave with reverence toward the Lady Vol Legacy and all who built it. I think those wo fear that “Hart wins if Holly is let go” are way off base. Their hearts are in the right place, but I truly do feel that they’re not thinking this all the way through. Let's don't compare these oranges to FB's sour grapes, Poncho. Had Kiffin not escaped on the midnight express, our football Vols maybe-just-maybe might've vied for a few SEC and even national titles by now. Hart then goofed twice in a row, leaving our once vaunted football program in tatters. It'll take Pruitt a couple of years to rebuild the talent to the necessary level for the possibility to challenge the big boys again. As for our Lady Vols: The talent's already on the court...the vault's full of $$$ for the right HC...if UT's LVs are at all overshadowed by some other group of LBBers, it would be UConn; nobody else. Unlike the football program, there's a literal crowd of some of the nation's very best coaches who'd leap at the chance to lead this storied program, performing before a phenomenal fan base whilst enjoying some of the best training facilities and arena anywhere. Pat built it and it's still standing strong. Holly. It's time. GBO! The coach who is going to protect Pat's legacy best is the coach that want to replace the legacy with their own. Only one point, Kiffin proved his worth with the job he got after leaving Tennessee. It didn't bother me that he left for his dream job as it did others. But, when he got the job with loaded rosters, he failed. Same here. Fulmer remembers his situation... he will cut her a lot of slack. Someone else will have to do the dirty work, he will not! Simply put, Phil needs to grow a set, Holly's best is in the rear view mirror. Offer her another position where she is harmless, before the program is completely in the toilet. Wes Moore come on down. The situation for Phil is different. He is now in the position of making the decision. Holly's is not the only job on the line. If it continues, Phil could ultimately pay the price too. Gonna drive the man to drink. Holly & Phil are Sharing her contract. Oh noes, not the dreaded "Twitter beating". God help her. No one in coaching expects a contract that says, "Don't Worry About The Wins and Losses". It is expected for you to earn your salary and Promote the program in a reasonable way. Bonuses are given for Superb production and likewise, loss of possible employment should be expected for an inferior product. At this time, the basketball program is very much lacking a Superb Product. Time for new tactics and new employees to make the Product we are looking for. I think this is wise. You don't hear anyone talking about Saban protecting Bear Bryant's legacy. He's going to best it (very likely) or die trying. As despicable as Alabama is, I have no choice but to respect that.